The past ten days can’t have been easy viewing for Lin Jarvis. The compact summer break had just drawn to a close when the realities of his factory’s predicament were already hitting home and in plain sight for the watching world. Yamaha Racing’s Managing Director not only had to contend with an already fractious relationship between one of his riders and crew-chiefs in the Czech Republic, through several factors – mismanagement of the situation included – it soon spiralled into the public domain, casting a spotlight on the fault lines and friction within the Movistar garage. Austria was always going to be a firm test of the factory’s resolve, and not only because of what had gone before. 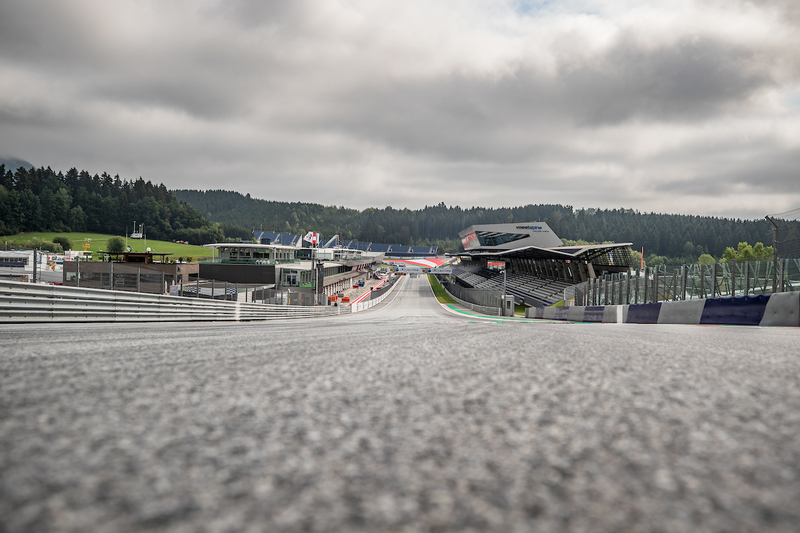 The short, undulating layout of the Red Bull Ring requires a pupil-dilating concoction of straight-line speed and corner exit grunt. 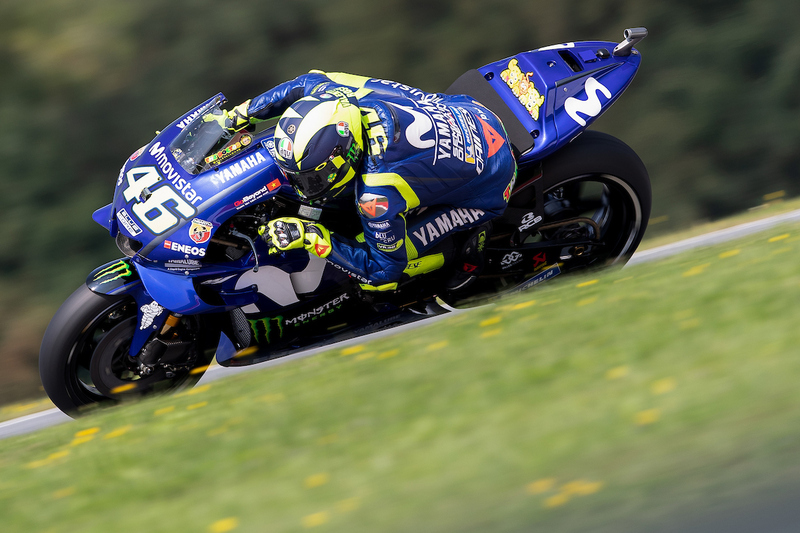 It is “one of the worst tracks of the season” for the M1, according to rider Valentino Rossi, whose predications of “suffering” through those armco-lined ascents bore out on Friday. That warm glow that accompanied the factory’s first double podium finish of the year four weeks before had not just dispersed by the close of Saturday afternoon. It felt like a trick of the mind it had even existed in the first place, for the failings of the Movistar Yamahas were exposed in the sun. Rossi, 14th, and unable to navigate a path through Q1, did not bode well. 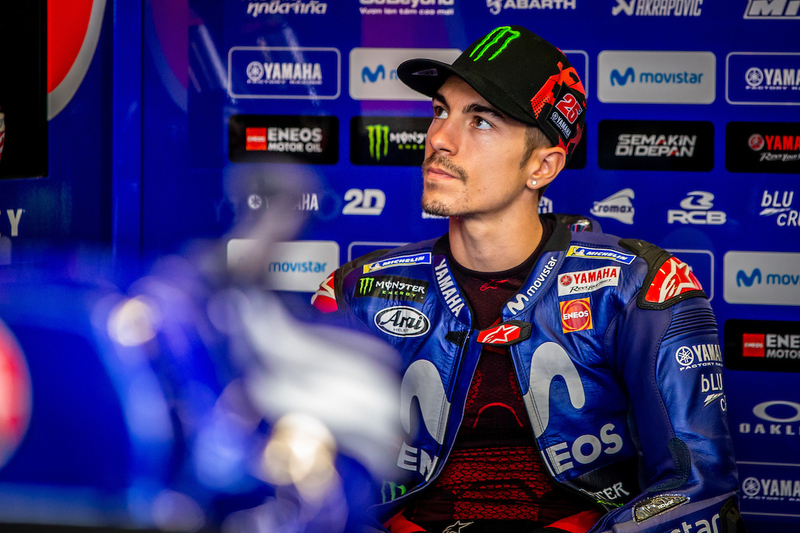 Nor did Maverick Viñales’ 12th, compounding the factory’s worst qualifying day held in dry conditions since the end of 2007. Those issues with electronics, acceleration and tyre management have never been far from the door and an unprecedented, and somewhat perplexing, public apology issued by project leader Kouji Tsuya followed. This appeared to be an attempt from Jarvis, the communications department, or the Japanese engineer at convincing his riders they were taking their complaints seriously. Very seriously indeed if Communications and Marketing Manager William Favero was to be believed. “Crisis” was a word he used to describe a winless predicament that is just one race shy of the fallow days of 1997/98. Thankfully then, Sunday brought a smidgen of respite. Through all the gloom of a turbulent couple of weeks and months, there has been one positive for the Iwata factory’s managing director: Rossi. And his desire to hold that illusive tenth world crown that just never goes away. It speaks of the man’s unending motivation and endeavour that, once again, he blocked out the white noise behind closed doors to ride to sixth place. Now, let’s not get over-excited here. Sixth place is still sixth place, a result that saw the Italian lose yet more ground – ten points, in fact – to title rival Marc Marquez. But, all things considered, this was a pretty exceptional performance. It was Rossi taking the package to its maximum and saving a good deal of factory face while he was at it. Had it not been for him, Yamaha really would be facing a harsher inquisition with Johann Zarco ninth, a seething, monosyllabic Viñales twelfth and Hafizh Syahrin outside the points. There have been a few of these afternoons across the season. Most notably when Rossi took the M1 to its limits – and occasionally beyond – at Mugello, where a famous home podium upped the volume, intensified the smoke and proved conclusively that, at 39 years of age, he still can conjure up the old magic and rescue results when he simply had no right to do so. As Viñales turned his helmet air blue while circulating in tenth, fellow podium man Andrea Dovizioso observed how the sport’s elder statesman was losing the front “too many times” in the race’s opening third as he grappled with worrying front-end feel. 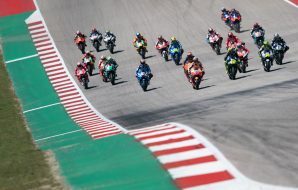 It wasn’t just there: results at Montmeló and the Sachsenring also exceeded expectations, while comprehensively outperforming his spunkier young team-mate. For all this, there remains the suspicion Yamaha is overly in raptures to its lead rider. In March, Jarvis was asked why it had chosen to sign him up for 2019 and ’20 before the new season had even begun. It was a valid question after all. Viñales was the faster rider in 2017, as was Zarco in the season’s final third. Rather than pointing to his continued competitiveness, Jarvis’ first answer was: “Because of everything he brings to Yamaha and the sport and the team. Because of who he is…” Undisputable, sure, but after a shaky preseason, it didn’t exactly spell out results were a requisite. There is a line of thinking that states Rossi yields too much power, too much influence within the decision-making centre in Movistar’s hospitality. 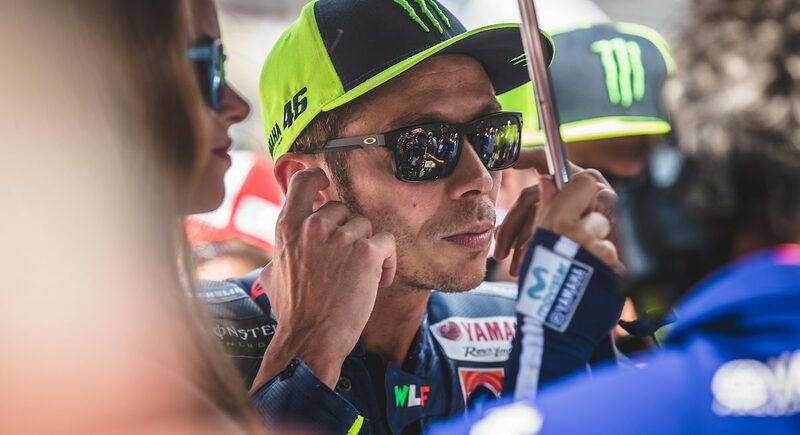 The team and his own VR46 Academy are now inextricably linked, and if one were to adopt a cynical viewpoint, it would suggest the marketing potential of Rossi’s unique persona outweighs that cutthroat desire to win at all costs. But this was an argument to make through the year’s winter and springtime months, when development was confused and a look of mild bafflement was a regular fixture on his side of the garage, as well as the #25’s. In terms of results, Rossi is keeping the Yamaha ship afloat eleven races in. His experience dictates he knows the moments to call out the factory’s approach. Any disquiet on his side of the box has mostly remained private. Unlike Viñales, whose recent stroppiness has won him few admirers, he has accepted the bike’s limitations. OK, at this moment wins may not be possible but podiums are. 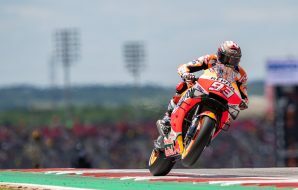 And he is putting himself in the position to take advantage on the off-chance Honda and Ducati’s veritable cast of stars fail by sitting second overall. There’s a lot to be said for putting your head down and getting on with it. Certainly Jarvis and team manager Massimo Meregalli’s comments to On Track Off Road contributor David Emmett on Saturday suggested as much. If this is the case, no magical cure will materialise in 2018 with engine development frozen from March to November. So why not get the bits around the engine right before the offseason offers up another stab at perfecting engine characteristics and inertia? Rossi understands as much. All year he’s been making the most with what he has. Remember those constant shifts between chassis tweaks and configurations through 2017 that resembled an inebriated spinster shuffling between dance partners at a wedding? Well, there have been no mad fluctuations in recent months. Parity is partly restored, in that satellite runner Zarco is no longer making the nine-time champion look silly. Even Viñales admitted, “we found a really good balance” at the Sachsenring. 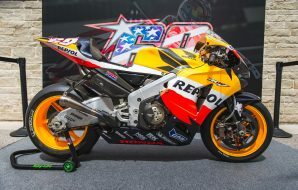 “Our bike is really competitive on the chassis side,” he said. In Yamaha’s case, the past few months have been reminiscent of 2014, the last year to which ‘crisis’ could be attributed. Clearly lagging behind Honda by some way during preseason, one rider had a strop, lost his cool and was unable to halt a decline that lasted until the summer. The other? Well, he worked. And worked. And by September he was free and breathing easy, winning races and knowing results deservedly had him one place ahead in the inter-team pecking order. Could we be witnessing a repeat? There was a rallying cry to Rossi’s words on Sunday evening. “We are factory Yamaha so we have to look at the factory Honda and factory Ducati – not to the rest.” Through continued grit, talent and enjoyment – even on Sunday he said, “I enjoy, I do a lot of overtaking, nobody overtake me” – Rossi’s currently proving he’s the one capable of mounting a comeback for the factory, not Viñales. I may have been doubtful of this in February. But coming away from Spielberg on Sunday, I was inclined to agree. Now for the factory to do its part. Over to you, Lin.